At Glyn, we are all about enabling customers to get their products to market as quickly as possible at the lowest total cost of ownership. Modular solutions provide the building blocks to be able to add standard functionality to designs and lower the complexity / risk. This also allows design engineers to quickly move on to focus on the elements of designs that are unique to the specialisations of their company. These modules incorporate a DC/DC regulator with inductor and passives to provide a complete DC/DC solution which boasts good power efficiency, low radiated noise and a small form-factor at very cost-effective pricing. For the purchasing team there is only one item to order and alleviates the need to procure additional capacitors and inductors on potentially long lead-times. These SoM’s incorporate an NXP i.MX processor, Memory, PMIC and Wireless connectivity into small surface-mount modules. Pre-certified dual-band WiFi / Bluetooth along with dual ethernet interface. Designed for industrial applications and vigorously tested for vibration and extended temperature operation. Five year product warranty, along with the commitment to long-term availability. 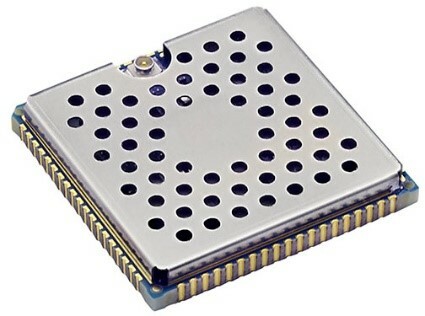 Packaged with edge-castellated pins for lower complexity designs and additional LGA pads for more complex designs. Need more information? Please contact us to discuss any requirements you may have for MPS Power modules or Digi ConnectCore modules.